What is Denmark Green Card Scheme ? 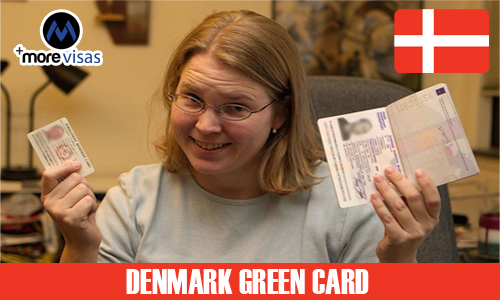 Denmark Green Card Scheme allows its holder to reside and work in Denmark. A residence and work permit under the Danish Green Card Scheme is given to an applicant taking into account some important criteria used to evaluate him/her based on a ‘points system’. If a residence permit is obtained under Denmark green card scheme, there is no need to again apply for and seek a work permit. This is because the holder of a residence permit is allowed to work under Denmark green card scheme. Denmark Green Card Eligibility is considered for a residence permit of the Danish green card scheme, the applicant must attain a minimum of 100 points under Denmark Green Card Points Calculator. Denmark Green Card Eligibility Points are awarded for: ‘educational level’, ‘language skills’, ‘work experience’, ‘adaptability’, and ‘age’. Also, the applicant for Denmark green card must have full health insurance which covers himself / herself, until the time he/she is covered by Denmark health insurance system. Also, the applicant for Denmark green card Scheme must show or demonstrate that he/she has enough/adequate funds to cover for himself / herself and his/her accompanying family members if and when they are issued a Denmark green card. 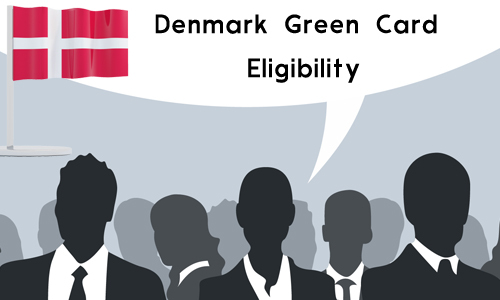 Under the Denmark Green Card Requirements adaptability criterion, an applicant to the Danish green card scheme gets points for his/her educational or work related attachment to the EU/EEA (including Denmark) or Switzerland. This is so, as this attachment is seen to increase an applicant’s ability to adapt to or when living in Denmark. After the applicant to Denmark’s green card scheme submits his/her application, it is processed according to the Denmark Green Card Information and rules outlined above and a decision to approve the Danish Green Card is made accordingly. Finally, under Denmark Green Card Information age criterion, points are awarded for the applicant’s age. Thus, the younger the applicant for Denmark green card schema is, the more number of points he/she is awarded. Thus, for example, if an applicant to the Danish green card is aged between 35-40 years, he/she will get 10 points. If he/she is younger, he/she gets 15 points. To acquire this Denmark green card every one should have the basic knowledge on points, to know this click on Denmark Green Card points calculator 2014 or fill our Quick Enquiry Form one of Denmark Green Card Consultant executive will get back to you.